More simply put, the oral and maxillofacial surgeon is the orthopedic surgeon of the facial region..
Management of facial injuries including: facial lacerations, lip lacerations, intra-oral lacerations, fractured teeth, avulsed (knocked out) teeth, fractured facial bones (cheek or nose) and fractured jaws (upper and lower jaw). 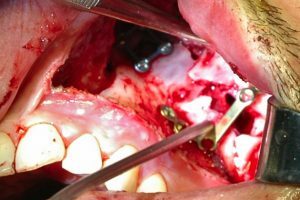 Benign and malignant cysts and tumors of the oral and facial regions. Severe infections of the oral cavity, salivary glands, jaws, and neck are also treated. 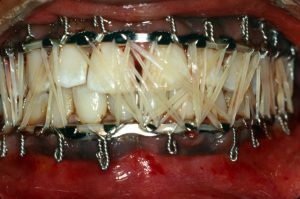 Surgical management of Obsctructive Sleep Apnea Syndrome.